Media captionDe la Rue boss Martin Sutherland claimed: "It is surprising the British government does not support British industry." De la Rue's shares closed nearly 6% lower on Thursday. Pro-Brexit former cabinet minister Priti Patel said the decision to hand the new contract to a foreign firm was "disgraceful" and "perverse". The Liberal Democrats' Brexit spokesman, Tom Brake, said the "blue passport saga" was becoming a farce. 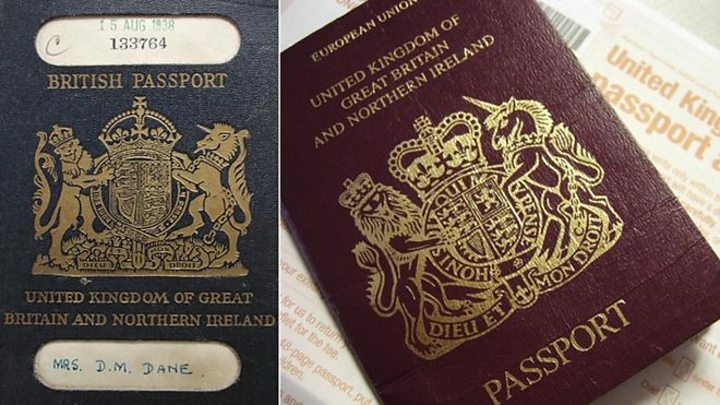 "First it was established that we did not have to leave the EU to have blue passports. Now we learn that the passports will be printed by a foreign company." But it added: "As the process is still ongoing and the terms of engagement are confidential, we cannot make any further comment on it at this stage." 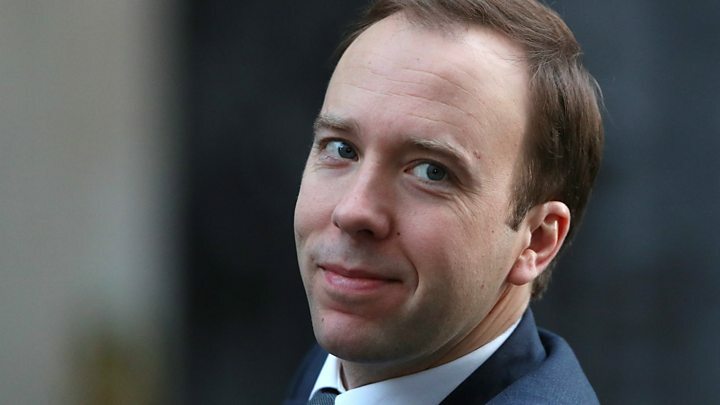 A spokeswoman for the Home Office said: "The chosen company demonstrated that they will be best able to meet the needs of our passport service with a high quality and secure product at the best value for money for our customers and the taxpayer." 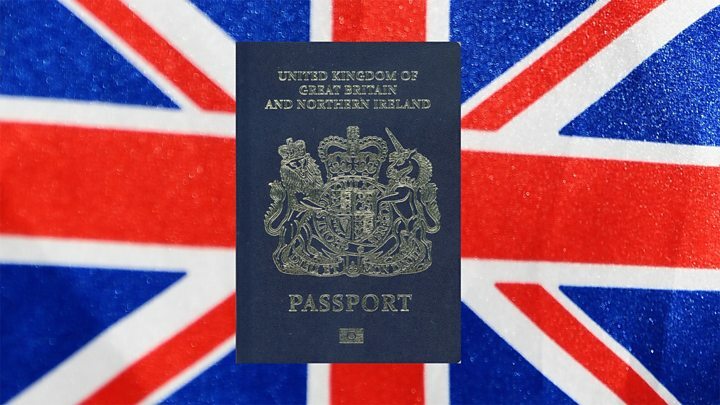 Earlier, De La Rue boss Martin Sutherland told the BBC's Today programme: "Over the last few months we have heard ministers happy to come on the media and talk about the new blue passport and the fact that it is an icon of British identity. "But now this icon of British identity is going to be manufactured in France." He added: "I'd like to ask Theresa May or Amber Rudd to come to my factory and explain to our dedicated workforce why this is a sensible decision to offshore the manufacture of a British icon." De La Rue, which has held the contract to manufacture British passports since 2009, said it had been "undercut on price" by Gemalto. Mr Sutherland said it was unclear whether jobs at the firm's Gateshead factory would be affected. De la Rue employed more than 600 staff at the site last year.